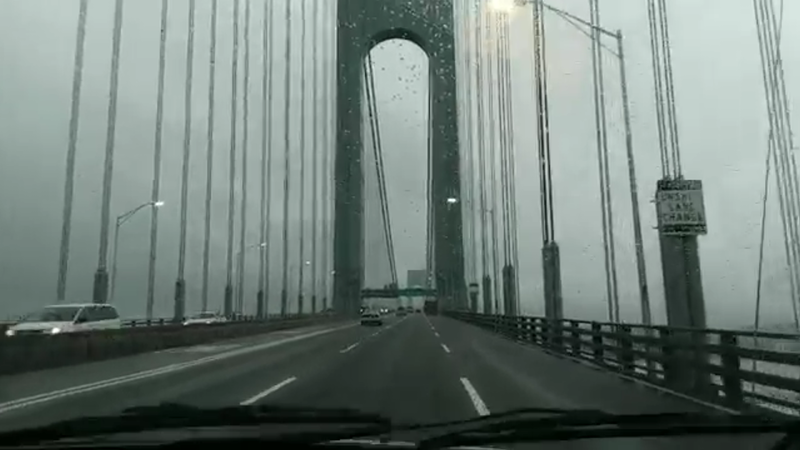 We shot this footage of the Verrazzano -Narrows Bridge as we left New York City on Saturday. It was a little too foggy to see the city, but does contain some pretty interesting facts about the bridge. The Verrazzano- Narrows bridge connects Fort Hamilton in Brooklyn with Fort Wadsworth in Staten Island. 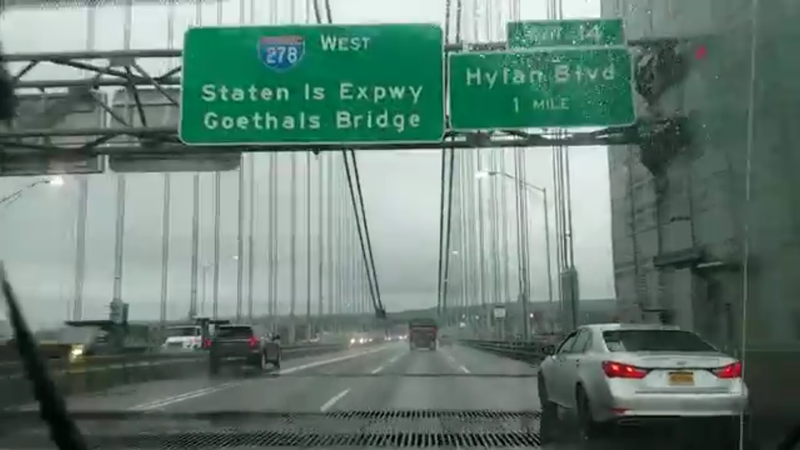 The highway going across the bridge is I-278, which connects the BQE (Brookly-Queens Expressway) and the Staten Island Expressway. If you're heading eastbound, the Belt Parkway Exit is immediately at the end of the bridge. Don't miss it or you'll spend an hour circling NYC to get back to the Verrazano. The bridge has seven lanes on the upper deck and six on the lower. The upper deck yields breathaking views on cloudless days. The advantage of the lower level is that it offers more protection from the natural elements of storms, snows and foggy days. Right now, the Verrazzano - Narrows Bridge has the highest tolls in the nation. It's $19 for a car. NYC does cut residents a break with the EZ-Pass Program. You can find out the details on that from the Metropolitan Tranportation Authority website. Don't worry about carrying cash on the bridge. NYC has made it easy. Your licenese plate is photographed on the westbound side of the bridge. Your "souvenir" will arrive in the mail in a few days with instructions on where to send the toll. So, if you noticed the two spellings of Verrazzano on the page here don't get confused. The bridge was named for an explorer whose name was misspelled for decades before some bright boy or girl caught on. In October 2017, Gov. Andrew Cuomo signed legislation to fix that problem. The signs for the Verrazzano will be updated through the regular maintanence program. Soon, they will each have the ZZ found in the corrected spelling. Thank goodness for modern day spell check. But, don't give the designers too much grief. The Verrazzano-Narrows bridge was built in the late 1960s and spell check didn't come across until much later. Just be glad it did.